It really bugs me. 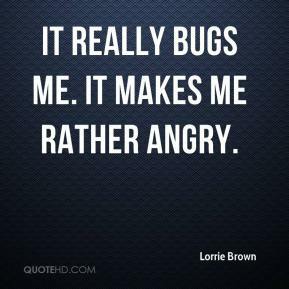 It makes me rather angry. Doctors are upset, they are angry and they are frustrated. 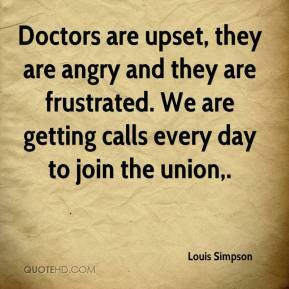 We are getting calls every day to join the union. We believe in the art of war. 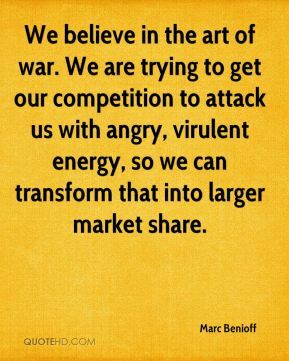 We are trying to get our competition to attack us with angry, virulent energy, so we can transform that into larger market share. My main concern is that nobody got hurt. 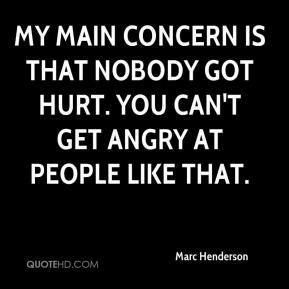 You can't get angry at people like that. 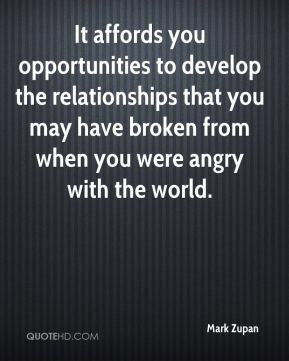 It affords you opportunities to develop the relationships that you may have broken from when you were angry with the world. I'm very angry about everything that happened here. 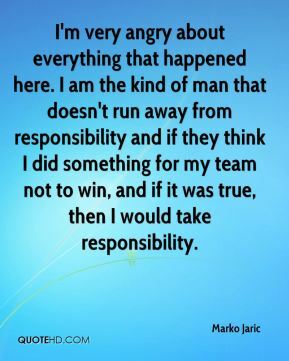 I am the kind of man that doesn't run away from responsibility and if they think I did something for my team not to win, and if it was true, then I would take responsibility. 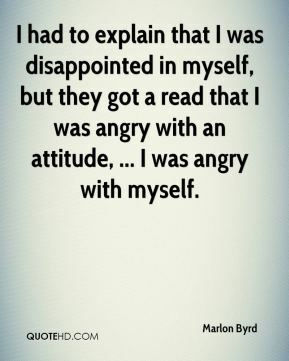 I had to explain that I was disappointed in myself, but they got a read that I was angry with an attitude, ... I was angry with myself. We know that there are places where angry disqualified candidates and other individuals are planning to disrupt the election. 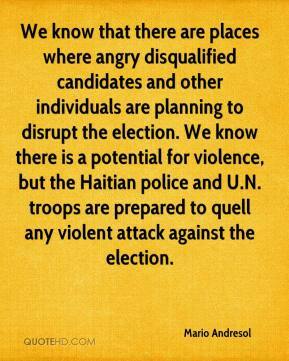 We know there is a potential for violence, but the Haitian police and U.N. troops are prepared to quell any violent attack against the election. 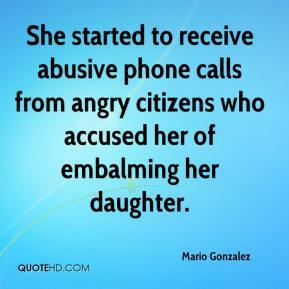 She started to receive abusive phone calls from angry citizens who accused her of embalming her daughter. I am angry with him, but my anger can't get in the way of saving his soul. I think he should have gotten the death penalty. I believe that's right. I believe it's biblical. 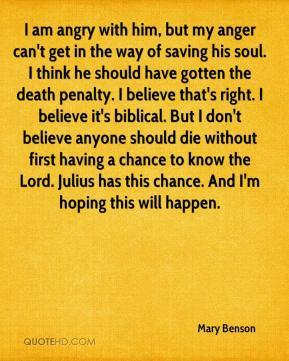 But I don't believe anyone should die without first having a chance to know the Lord. Julius has this chance. And I'm hoping this will happen. No, she won't be angry. 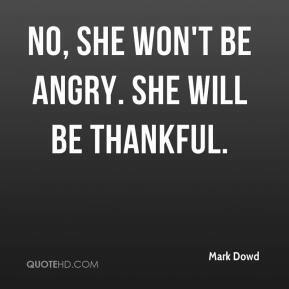 She will be thankful. 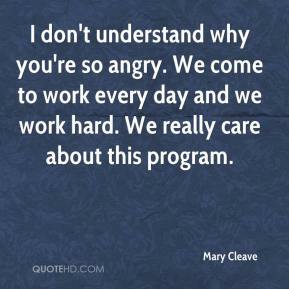 I don't understand why you're so angry. We come to work every day and we work hard. We really care about this program. 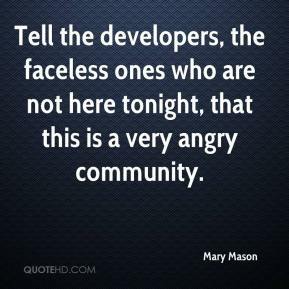 Tell the developers, the faceless ones who are not here tonight, that this is a very angry community. 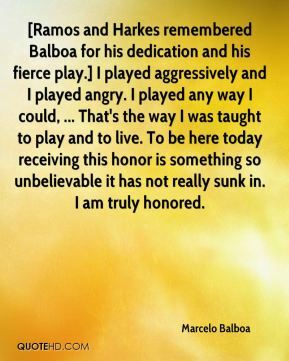 [Ramos and Harkes remembered Balboa for his dedication and his fierce play.] I played aggressively and I played angry. I played any way I could, ... That's the way I was taught to play and to live. To be here today receiving this honor is something so unbelievable it has not really sunk in. I am truly honored. We have made up a God in our image. 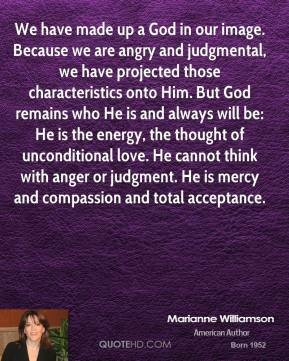 Because we are angry and judgmental, we have projected those characteristics onto Him. But God remains who He is and always will be: He is the energy, the thought of unconditional love. 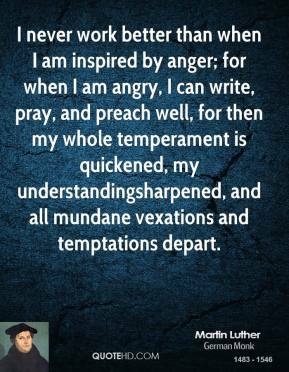 He cannot think with anger or judgment. He is mercy and compassion and total acceptance. 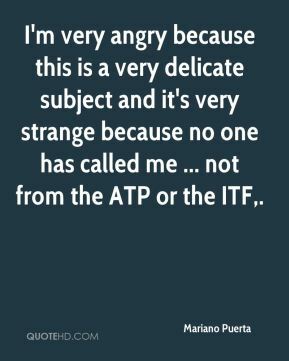 I'm very angry because this is a very delicate subject and it's very strange because no one has called me ... not from the ATP or the ITF. 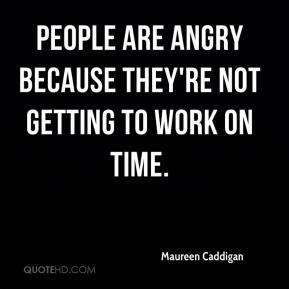 People are angry because they're not getting to work on time. It was quick, but it just seemed like the right time. 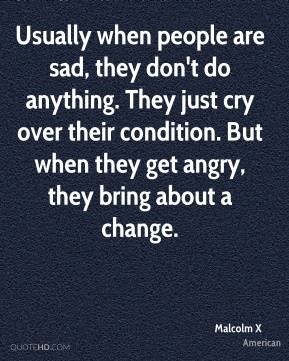 On my behalf, I'm not quitting because I'm angry. It's nothing like that. 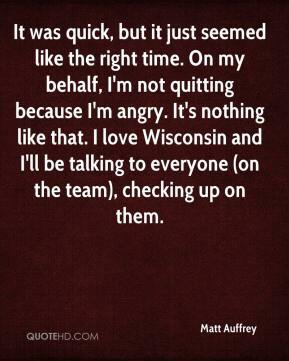 I love Wisconsin and I'll be talking to everyone (on the team), checking up on them. I don't remember a single time where I would have been angry at her. I was very bitter. 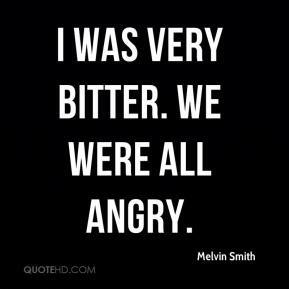 We were all angry. 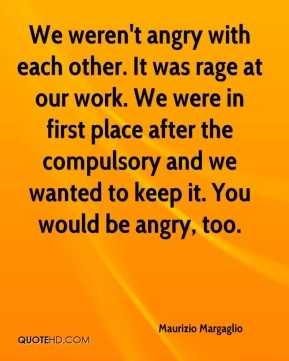 We weren't angry with each other. It was rage at our work. We were in first place after the compulsory and we wanted to keep it. 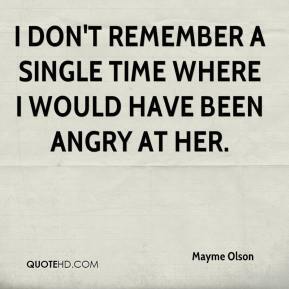 You would be angry, too. 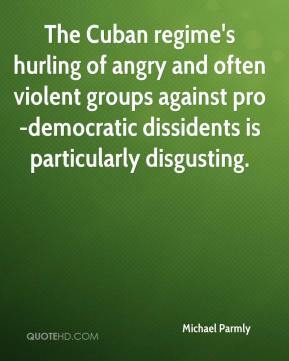 The Cuban regime's hurling of angry and often violent groups against pro-democratic dissidents is particularly disgusting. 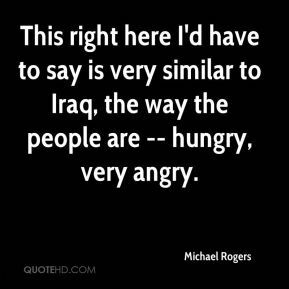 This right here I'd have to say is very similar to Iraq, the way the people are -- hungry, very angry.